Every one of us has a way of doing things, a kind of routine for living. This “comfort zone” is where we spend the majority of our time; but what if we were to disrupt that and to do so deliberately? 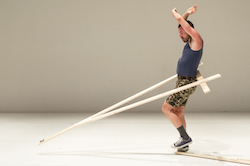 Dancemaker Matthew Day is doing just that, breaking the mould of a practise that has taken him from teenage ballroom champion to contemporary stages across Europe and Australia. 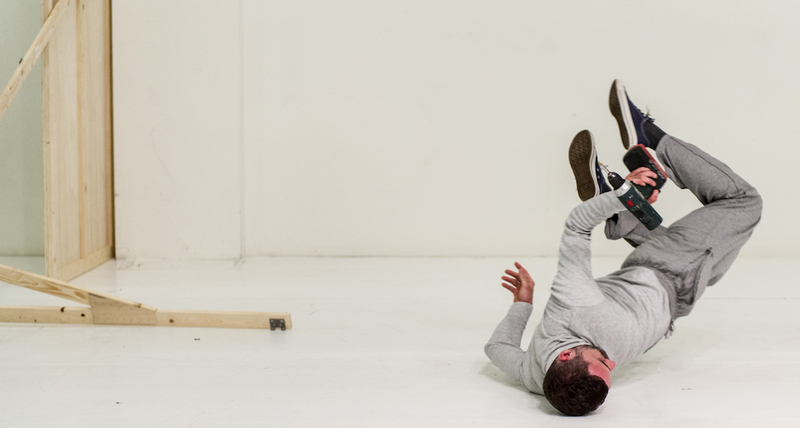 Based in both Melbourne and Amsterdam, he is the current Dancehouse artist in residence and this month will launch a new series of works with his avowedly experimental solo, Assemblage #1. Matthew Day’s ‘Assemblage #1’. Photo by Nellie de Boer. 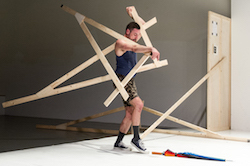 In order to make real his desire for unsettled forms, Day is presenting the work in two formats: firstly as a regular hour-long performance with seating and secondly as a three-hour durational event without seating. Thus, for both creator and observer, Assemblage #1 will be a start point, a place to begin, a space that invites a new kind of movement. The challenge for us, as an audience, is to be as prepared as Day is to break with the comfort of the usual. 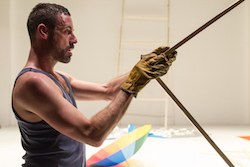 Matthew Day’s Assemblage #1 runs November 23-27, at Dancehouse. For bookings, click here. Photo (top): Matthew Day’s ‘Assemblage #1’. Photo by Nellie de Boer.